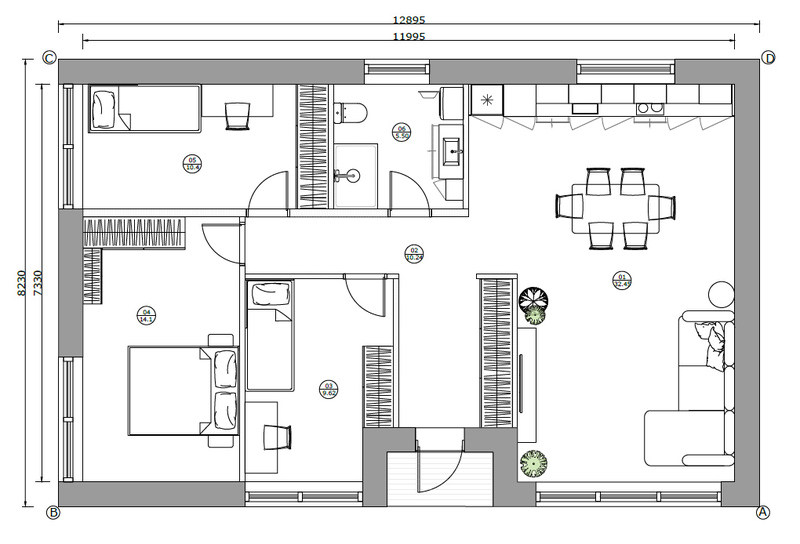 Energy efficient 3 bedroom single family house with comfortable planning and modern design. The wide front windows bring natural light into the home and create sensation of space. DOMINO homes are made Plug and Play and can be easily installed on any land plot. Houses are factory built and made as ‘key ready’ with full interior finish, including kitchen and bathroom. It is designed for living all year round.